Many customers want to know how roller shutters will look on a bay window so we've pulled out an older image from our archive to show off a customer's bay window installation. Bay window shutters cannot be installed internally (the pelmets would overlap). 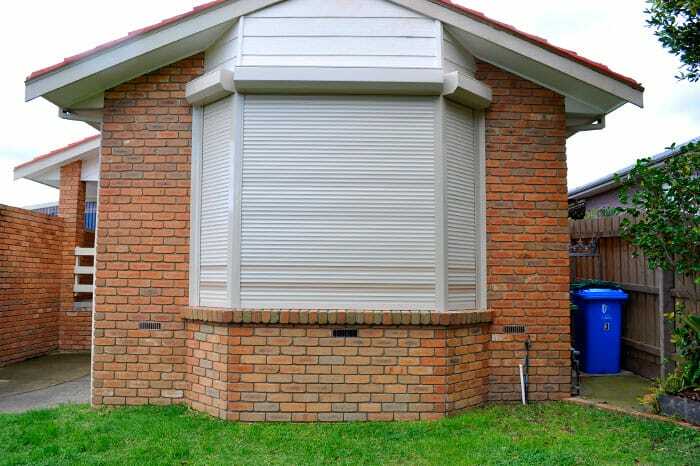 In this use, the coloured stripe slats gave each shutter a bit of detail to help stand out from the brick facade. What was a very open, inviting window can now be completely closed off to outsiders when the homeowner needs. During the day light can stream into this beautiful bay window and after dark the family can feel safe in their own home.